We're hearing of big layoffs at Trion Worlds, the company behind big online games like Rift and Defiance. One person connected to the company tells us that the layoffs have affected over 100 people, and that they were triggered by the underwhelming performances of both Defiance and Rift's first expansion, Storm Legion. 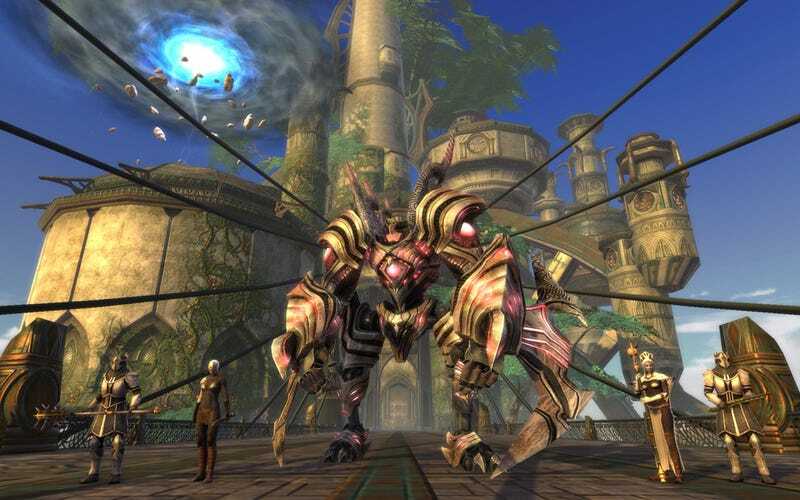 Just a few days ago, Trion announced that Rift would go free-to-play. But Defiance, the sci-fi experiment that consists of both an MMO and a television show, was just renewed for a second season.